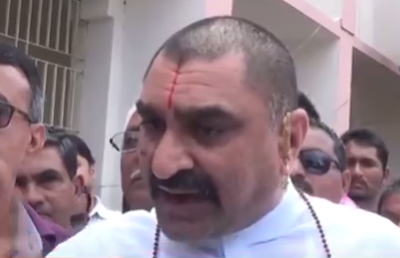 A Gujarat Bharatiya Janata Party (BJP) member of Parliament (MP) from Rajya Sabha is learnt to have admitted that he has been under “tremendous pressure” from his political bosses in Delhi not to speak out the way he did against the gruesome Una incident, in which four Dalit youths were tied with a chain attached to an SUV, and thrashed by cow vigilantes in a procession in the town. “I was made to retract. You don’t know the type of problems I faced in the party after I made that statement. I will not speak out any more”, Tundiya is learnt to have told a Dalit delegation which went to meet him to persuade him to speak out against “attacks” on Dalits across India in the recent past, especially in Saharanpur, where 56 Dalit houses were blazed by an upper caste crowd. 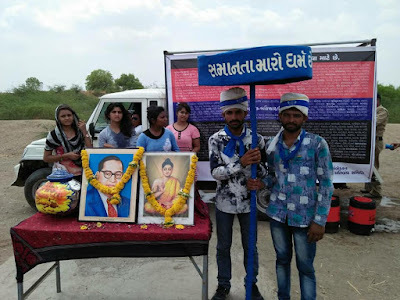 The delegation, which belonged to the Dr Ambedkar Vechan Pratibandh Samiti, or Stop Selling Dr Ambedkar Committee, went to Tundiya as part of its two-week long programme across Gujarat to ask Gujarat’s Dalit MPs and MLAs as to what they have done to protect the community, in whose name they were elected from the reserved constituency. Following the June 3 rally, the Committee members, led by Dalit rights NGO Navsarjan Trust founder Martin Macwan met Tundiya to seek his answers on why he was not speaking out for the Dalit cause in Parliament and outside. "I will raise the issue", is all he told the delegation. The list of 10 questions on which Tundiya was sought answer at the Zanzarka rally included what he had done to press upon Prime Minister Narendra Modi to ban cow vigilantes. While reading out the list of questions, a member a Samiti recalled, Modi had personally insisted that there was no place of cow vigilantes who attacked Dalits, and action should be taken against them. The four Dalit youths were attacked on suspicion of cow slaughter. Other questions asked to Tundiya included whether he had accused the slogans such as “Ambedkar murdabad” and “Ravidas Murdabad”, ransacking of the Ravidas temple, blazing of 56 Dalit houses, murder of a Dalit youth, all of which happened in Saharanpur, UP, on May 5, 2017; what had he done to stop forced migration of Dalits from their villages in Gujarat and elsewhere in India; what had he done to press upon the government to act against manual scavenging, and so on. 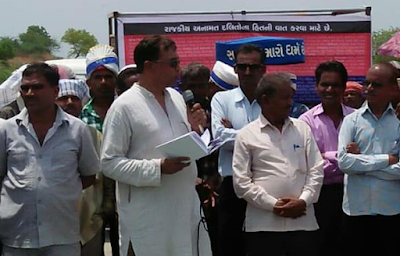 Addressing the Zanzarka rally, Macwan announced that Dalit Valmiki community women were preparing a 16-feet soap to be delivered to UP chief minister Yogi Adityanath, whose men had handed over over shampoos and soaps to 100-odd Musahar Dalit families, asking them to “come clean” before they met him in Kushinagar district.